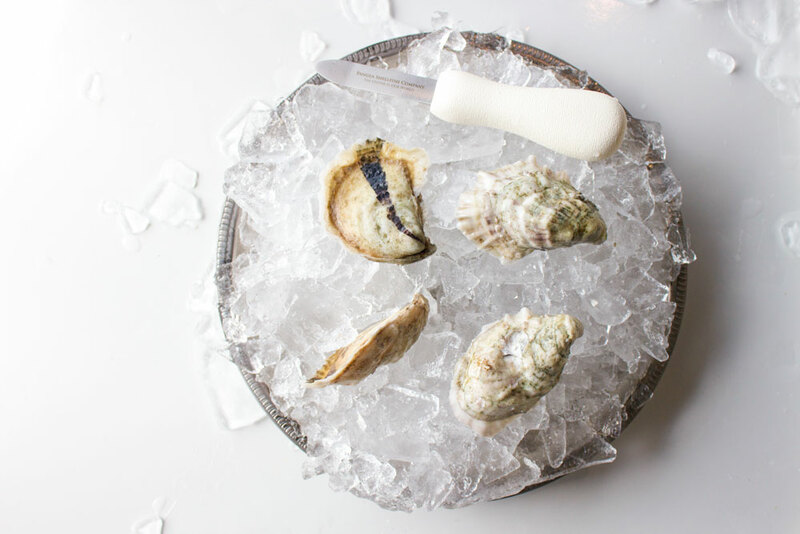 These classic Cape Cod Bay oysters have the perfect balance of brine and sweetness. They are a great representation of a Massachusetts oyster and has a name that represents it appropriately. Appearance: White shells, very clean! Tides: Large flushing tides averaging 8 to 10 ft. Oyster seed is started in mesh bags on steel racks. At about 1 inch in size they are moved to Aquatrays for growout, but not before being tumbled often. Time to market: 2-3 years on average. Jamie Davenport started out in restaurants and carpentry before moving to Vancouver, Canada with his wife to pursue a career in filmmaking. Shortly thereafter, with the arrival of their first of three boys, they decided to move back to New England to be closer to family. Meanwhile, Jamie's father had started an oyster farm in East Dennis and gave him the opportunity to join in. Ten years later, Jamie still takes pride in producing environmentally sustainable, high quality Davenport Oysters. He says that you can’t beat being surrounded by nature every day.